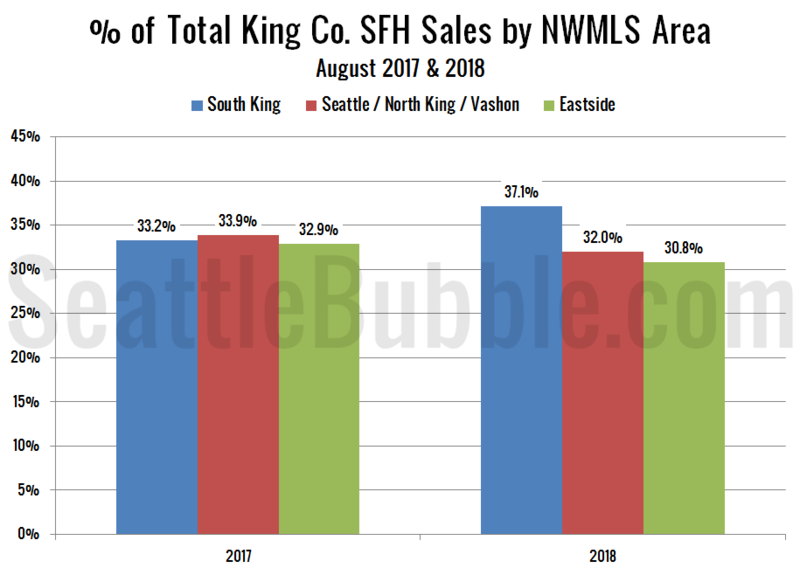 Seattle Bubble - Page 4 of 509 • local real estate news, statistics, and commentary without the sales spin. 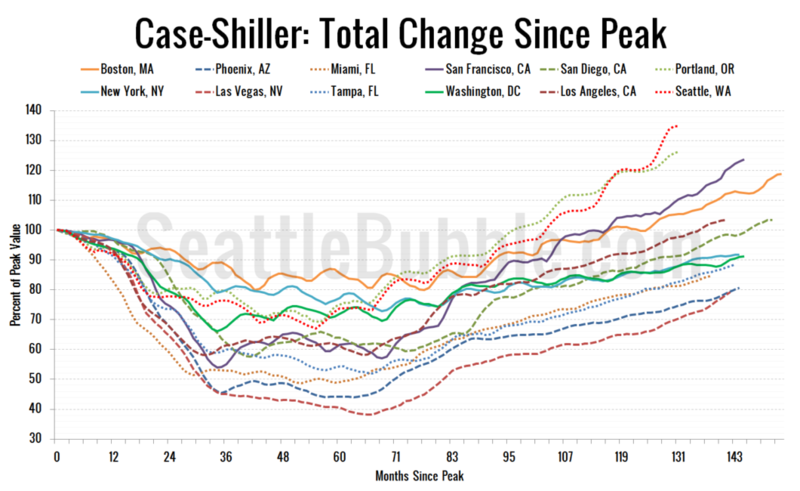 Seattle Bubble - Page 4 of 509 • local real estate news, statistics, and commentary without the sales spin. 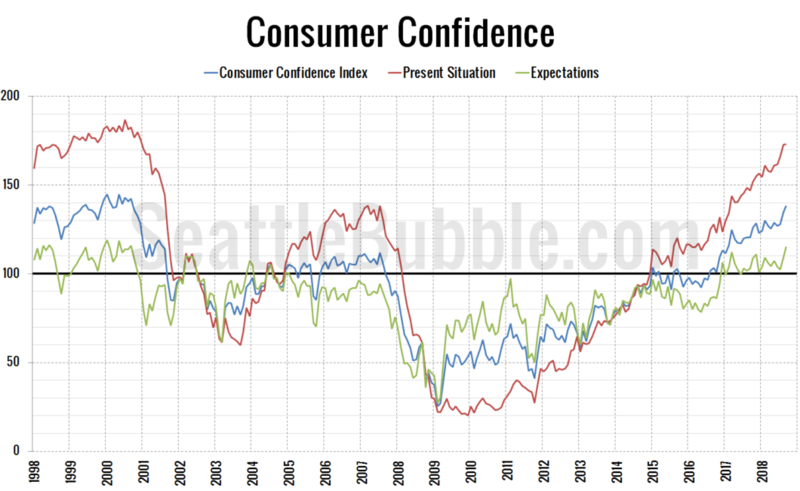 Before the month is over, let’s check in in on the latest data from the Consumer Confidence Index. 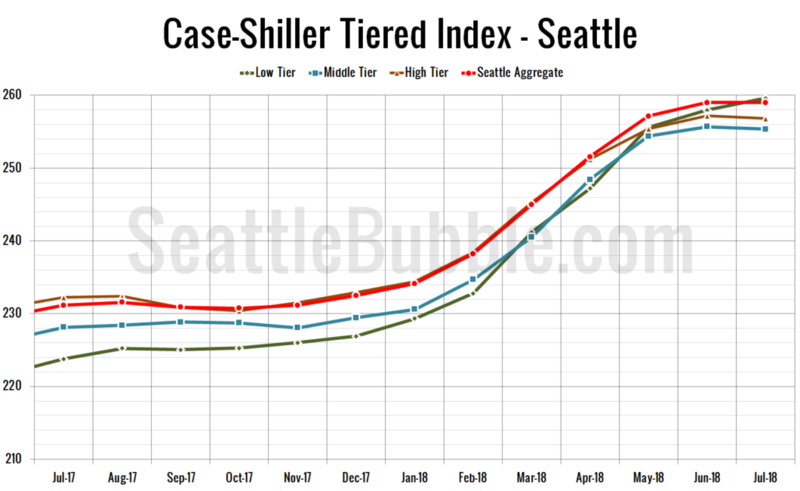 Let’s check out the three price tiers for the Seattle area, as measured by Case-Shiller. 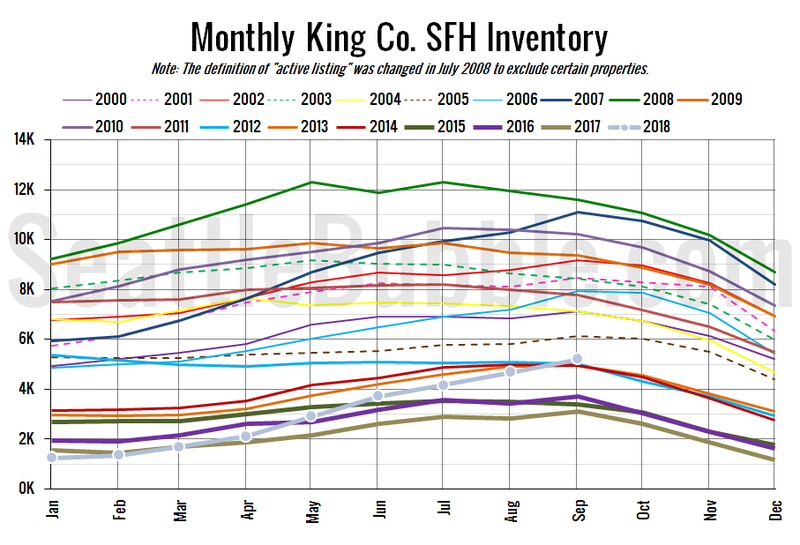 Remember, Case-Shiller’s “Seattle” data is based on single-family home repeat sales in King, Pierce, and Snohomish counties. It’s been six months since we took a look at the in-county breakdown data from the NWMLS to see how the sales mix shifted around the county. I like to keep an eye on this not only to see how individual neighborhoods are doing but also to see how the sales mix shift affects the overall county-wide median price. Hello - Is this site dead? 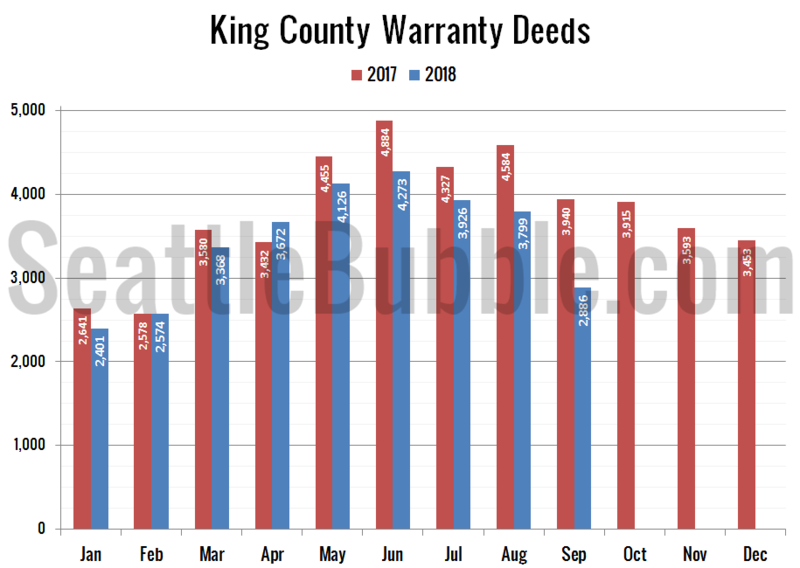 Any sign of January 2019 NWMLS statistics? How do I post on the home page in the comments section? Bookmark Another mortgage gimmick or viable option? Join the Seattle Bubble group on Flickr to contribute!